The Fortune Auto 500 Series Coilovers for the Nissan Skyline GTST (HCR32) are Fortune Auto's answer to a daily driver friendly high end, bespoke coilover system. Designed and assembled in the USA, all Fortune Auto Coilovers offer a level of customization and quality rare within the automotive industry. 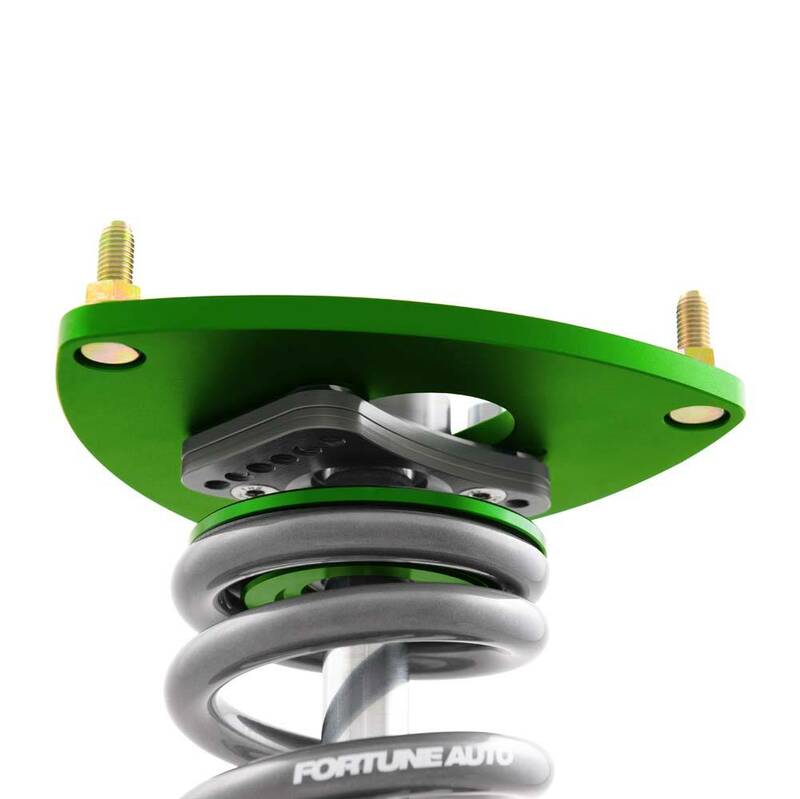 Fortune Auto has taken a different approach to coilover systems, rather than an out-of-the-box setup customers are able to cater their coils to their individual needs from spring rates to miscellaneous performance upgrades. 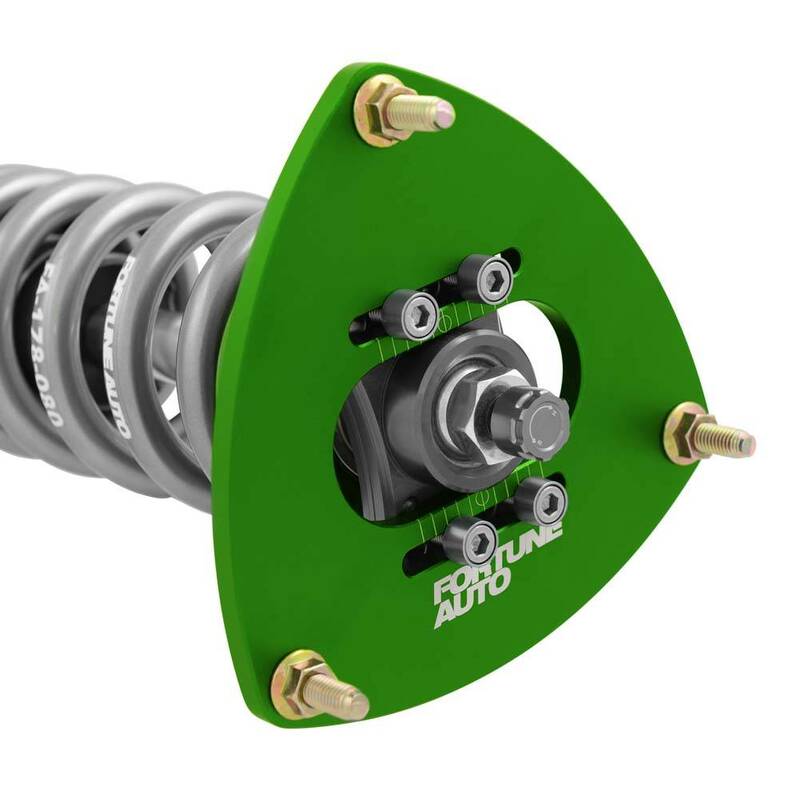 Take advantage of their proprietary and patented digressive piston technology for a street coilover with no downsides. All Fortune Auto Coilovers are custom built to order and to your specifications with a 3-4 week turnaround time. 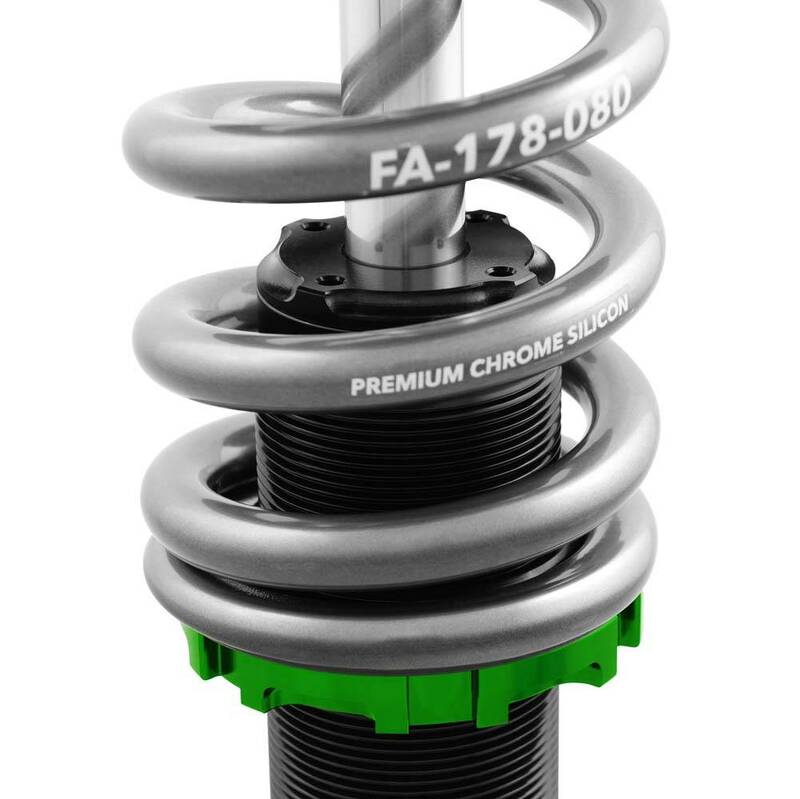 If no custom spring rates are chosen, coilovers will be built and shipped at the default spring rates recommended by Fortune Auto and listed on our product page. 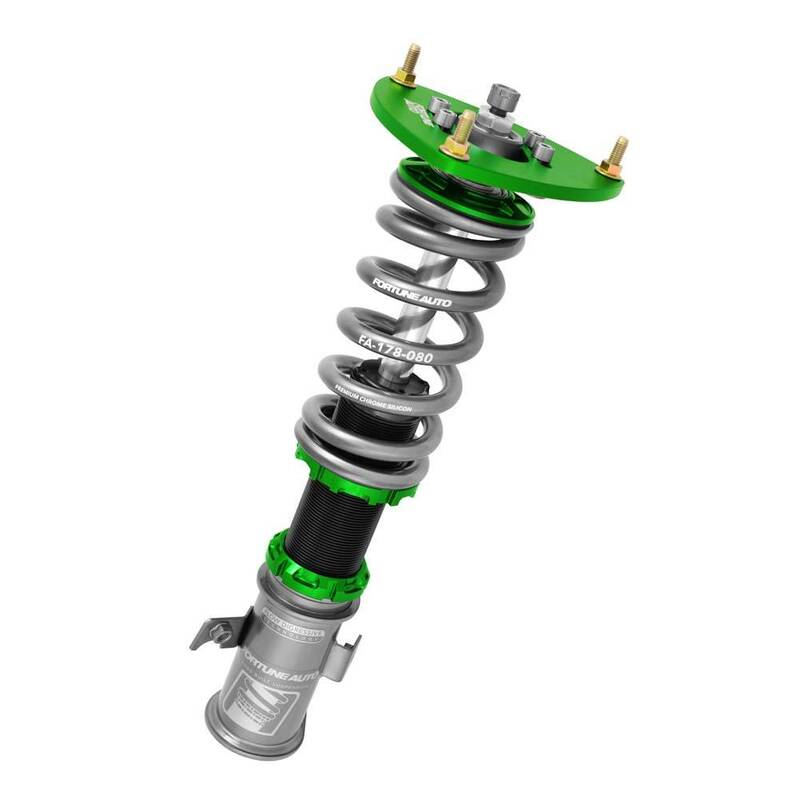 Coilovers are shown with grey springs, spring color may be dependent on application and spring rate.